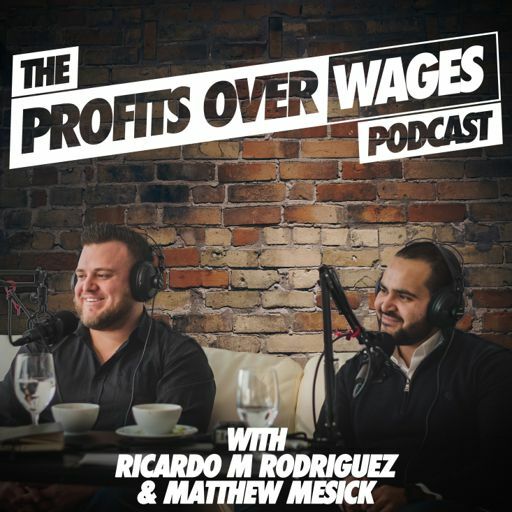 On Episode #23 of the Profits Over Wages Podcast, we sit down with Michael Gunderson founder of The Gunderson Law Firm. Michael started the Gunderson Law Firm in 2006 and has years of experience with and proven in-depth knowledge of the real estate, bankruptcy, and personal injury laws of the State of Illinois. But his reason for founding The Gunderson Law Firm is not the law, it’s the people whom he has been able to help with the law. As a second-generation attorney who grew up watching his father also use the law to help people through some of the most challenging times of their lives, Mike feels great empathy for his clients and works hard to provide them with the legal services they need and the dedicated representation they deserve in carrying out whatever legal issue he can take on for them. Away from the job Mike’s empathy drives him in other ways, including support for animal rescue organizations, youth football teams, fund-raising and advocacy for disadvantaged children, and providing pro bono legal consulting to community groups and low income families. Mike is also a zealous Chicago Cubs fan, which most years also requires a certain amount of empathy. On this episode, we talk about finding a mentor, adjusting to market conditions, things to be aware of when buying property, and Michael calling out Zillow for “white facing” Andre Dawson’s baseball card on one of their commercials. Enjoy the show.